Take a look at this package with the Safari Expert to whet your appetite. This fabulous eight night package takes in all that there is to see in Johannesburg and a safari at the wonderful Madikwe National Park. 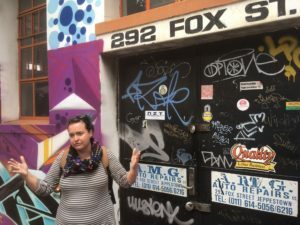 This week I’m looking at the city of Johannesburg which has been given an unjust reputation over the last few years. 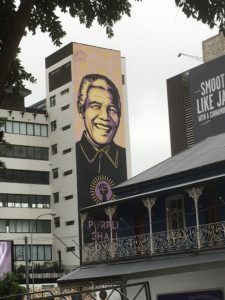 It is not without its troubles but it is a city laced with interesting stories and characters and an ideal stop off for a city break on arrival in South Africa. 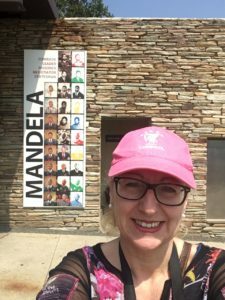 Nelson Mandela would have been 100 this year so with his anniversary in July there is much to see and commemorate his legacy in South Africa. 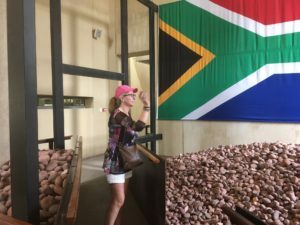 The biggest story in the city is the Apartheid story and the museum of Apartheid is a must visit. There is a permanent display with mandela’s biography from his time in the bush as a child to his eventual transformation to president. It is deeply moving with footage and images that show the horror. The list of named prisoners who committed suicide or were killed under suspicious circumstances such as falling off a chair are many. The next stop after this is a trip to Soweto to see how the people are now living. This townland is cornered in by a man made mountain with the remains of the mines. Set on a space of 126 square km this section of the city houses 5 million people still living in relative desperate circumstances. However the people are warm and welcoming and happy to see tourists. 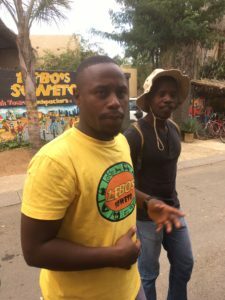 We took a tuk tuk tour with Lebo’s of Soweto at the backpackers hotel. http://www.sowetobackpackers.com/collections/tuk-tuk-tours/ and were guided by people who lived in the area. Small shacks and streets with one tufloo for several people is a reminder of the tenements seen in other parts of the world. 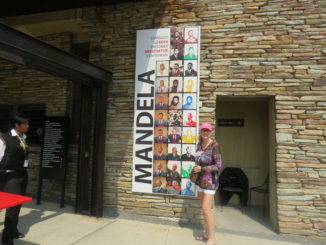 It is eye opening and worth seeing sights like Nelson Mandela’s house which is a street corner away from Desmond Tutu’s. 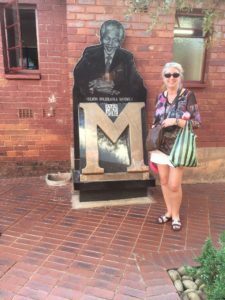 Here we visited a shebeen – given it’s name from the Irish Sibin….a pub without licence…. With the removal of apartheid some white neighbourhoods were overrun with squatters and immigrants new to the city but in general there are many areas where the economy and modern life is thriving. 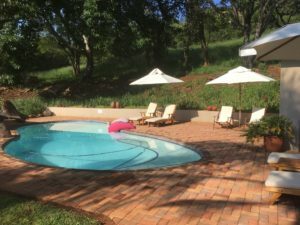 Rosebank is home to some beautiful homes and where I stayed at the crown plaza. It could have been any thriving metropolis – but the hip and happening area is Maboneng Precinct & Arts on Main. 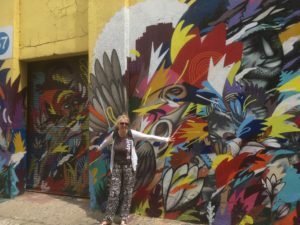 We took a guided tour of the graitti in the area and found that some artists have travelled from around the world to put their mark on the city. 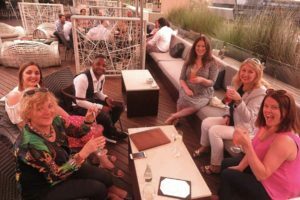 Sundowners in Sandton Sun is a decadent treat – guests are all well heeled in this business district. Once part of the infamous sun hotels – and sun city which is now a popular resort especially for golfers about two hours away. Neighbourgoods Food Market, Braamfontein is a good spot to see how the young and trendy of the city hang out on a Saturday and Sunday morning. With all the popular foods and drinks. 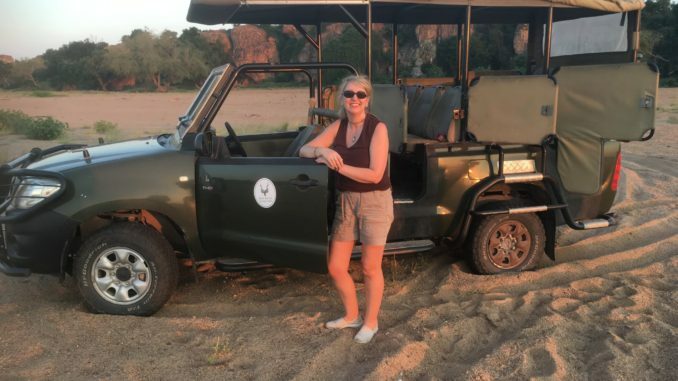 There are plenty of safari options from Johannesburg but I took a short flight to Polokawne in the state of Limpopo and stayed in the beautiful Mapungabwe national park. The animal life isn’t vast but the scenery is stunning. 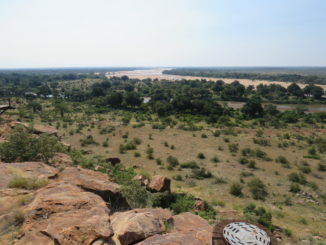 Set at the confluence of the River Limpopo where the borderers of Botswana, Zimbabwe and the northern most tip of South Africa meet. 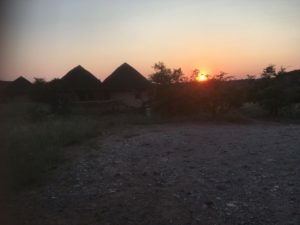 Our stay was in basic but beautiful huts that were fully self catered and we had a barbeque and watched the stars come out – it was difficult to see the dark of night as the stars were so numerous. Staying in the park means that the wild animals are all around so it’s best to be careful and not to wander but guests are safe as the animals won’t want to go near the houses. The landscape is breathtaking with red hues that emerge at sunrise and sunset. 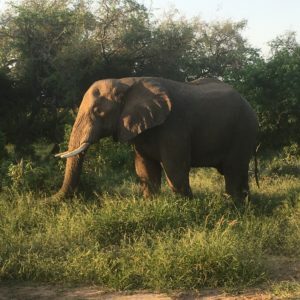 Animals we saw on safari included elephant, impala, wildebeest, zebra, wart hog, oryx, giraffes – the lions didn’t show up but we were satisfied. 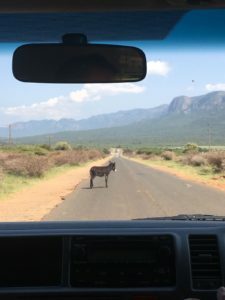 We did get to see an impala with one horn who is referred to as the unicorn and meant to be very lucky to see. The resort is called Loweke and I wished we had stayed longer as it’s a great way to switch off from the world. Next stop was a mountain retreat Madi a Thadva owned by a dutch couple Marcella and Aard who had been there 15 years and made a haven of local culture and art in their home. With limited guest rooms we enjoyed a colonial style stay with fabulous food. 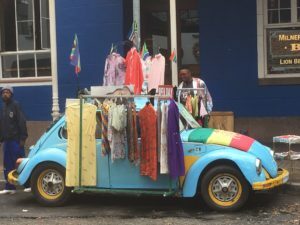 The area is steeped in tradition and stories – we visited a musician and pottery – the local market in the town of Elim to see how the locals live and it was warm and welcoming. The tribes are generally the Tonga and the Venda separated by the river. 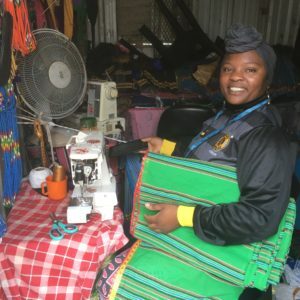 A local market gave us the chance to see how people had their hair done and clothes made. 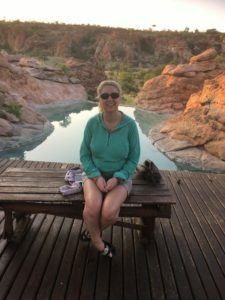 This is a brief sample of the marvellous time we had in South Africa and I’ll be writing more about this trip and chatting about it on Elaine show on TV3 very soon! 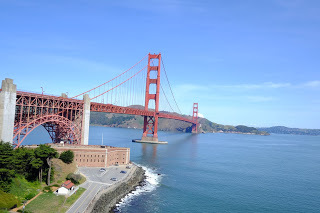 Travel Tuesday takes to the Road! Cruising the Baltic Sea with Celebrity and Teenagers! What Can I Do If My Airline Goes Bust? Copyright © 2019 | Website Developed by Eamonn Blaney - Click Here to get in touch!